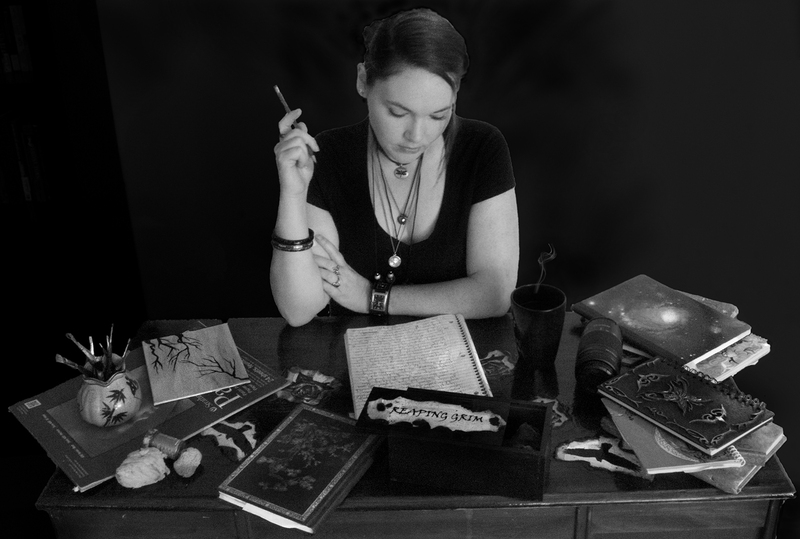 Biography : Jacquelynn F. Gagne is an artist. When she cannot be found in the real world she is usually found covered in paint, pastels or most usually words. Among writing, photography and art, Jacquelynn has been married for ten years and is mother to two incredible boys who take after their parents in every way, for better and worse. Unhindered Arts was born out of trial and fire, in many ways to me. It became my sanctuary. The place I could show all off me. My paintings, the furniture and even the house I’m painting, my passion for photography and of course the words. All the words. The novels, the articles. If I can help etch another artist’s skills and inspire them then it makes every day worthwhile. If I have it my way, when I am long dead my ghost will be whispering words into someone’s ear who is willing to listen. There is something that is just pure magic about literature. No matter what you’re reading, it holds the possibility of all things, and that is magic! Every story has the potential to give you any and every emotion: love, fear, excitement, sadness, joy, anger, and so much more. There is no purer sense of humanity than emotion. Literature is the quintessential of art. Through words alone we have the ability to create and step into any universe imaginable. Imaginable! And what limit is there to the human imagination? Absolutely none. To create a book, a novel or otherwise, there is this magnificent feeling of accomplishment but it goes so much further than that. We’ve taken part in creating a completely new existence. Another dimension comes to life with every word we put on the page. We fall in love with these characters like we do with our partners and our children. They’re not just characters, but lives that we give birth to that every reader recreates again and again. For me to finally complete this story and to show it to the world is one of my personally proudest moments. So thank you, to all of those who have come this far. The journeys we’re to share together through these pages are going to be absolutely unforgettable. For more works by Jacquelynn Gagne please visit her slice of paradise at Unhindered Arts.